You thinking… Wow… Not like Crystal to blog about something negative or out of frustration? Let me clarify: I’m not saying I never feel negative or frustrated, just ask my husband and children. However, right now I have a bone to pick. Usually, I decide to wait until my frustration passes but right now… This is a “Jesus turns over the table in the temple” kind of moment. My husband has been in China for almost three weeks and will remain there for three more weeks. I am a mother of four children ranging from 11 – 1, not to mention a graduate student perusing a degree in counseling, and this is the LONGEST I have ever been away from my best friend and help mate. Needless to say… I’m missing him like crazy, feeling terribly lonely, and not getting the regular breaks my husband blesses me with. Since he left, I have had a few bad moments as a mother, I have cried a few tears, but all in all I’m hanging in there. Simply, trying to make the best. Well, if you care to proceed… Here’s my soap box saga for tonight. I’m sick of “certain “people dogging mothers. A recent article I saw was something like, “Hey, that mother with the iPhone, put down your phone and swing your Kid.” Revealing a picture with a mom pushing her baby in a park swing and looking at her iPhone. How in anyway is this uplifting, encouraging, or helpful? Hey, is the baby taken care, is the mother beating her child, is there any obvious signs of neglect surrounding the child? Give mothers a break! Stop looking for “something”…. “anything” to criticize. Do you know how many children would love for their mothers to take them to the park and push them in the swing? So what? The mother is multi-tasking… I’m certainly guilty of that. Another article I read tonight that I found infuriating was titled… “The Worst Trend Ever”. This article talked about how mothers are starting to post funny stories about their failures as a parent and how we need to take our sin more seriously! Mother’s shouldn’t admit failures but take them to God and take them seriously before the throne. I think the big holes through the earlobe, the over abundance of meth labs, women showing EVERY part of their skin, sagging britches, and of course the mullet were TERRIBLE trends. How is it that mothers being authentic and genuine in the face of their friends and mentors is the WORST trend? How does the author of this article know the heart of “all” the mothers she’s writing about and their Facebook posts? As for me… I take my sin “very” seriously! (I admit it… I yelled at my child tonight… While preparing them “boxed” macaroni and cheese for dinner. I lost my temper… I actually made my son cry.). However… Guess what else I did. I called my little boy down the stairs, sat him on my lap, squeezed him tight and I cried with him. I did… I told him I was soooo sorry. I ask him to forgive me. I asked God in front of him to forgive me and help me to be a better and more patient mother. I had taken away his swimming privileges… And guess what? I extended that naughty little boy grace and I still took him swimming, even when he didn’t deserve it. Just like Christ continually extends grace to me. Guess what else I did? 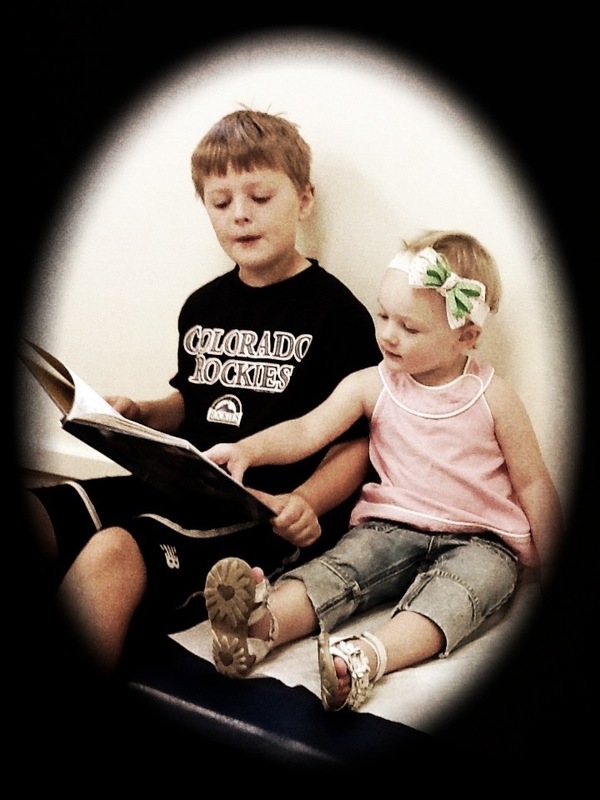 I read to, laughed… hugged… kissed… sang… prayed… encouraged… and loved my children. Lord, help me! (No, I’m not taking the Lord’s name in vain for those of you “thinking” bad of me.). I’m actually praying! There are some SUPER terrible mothers out there. STOP… STOP… STOP… Putting down the good ones, the ones who are willing to admit their weaknesses in order to become better moms. DO… DO… DO… Let mothers be human. Allow them to make a few mistakes (without additional ridicule). DO… DO… DO… Encourage mothers who give every ounce of their energy…and prayers to their children. So what? Moms sometimes post stories about their failures and maybe add a bit of humor. So what? Moms are realizing that all mothers aren’t perfect! Back in the day… People went outside more. They mingled with their neighbors. The older women spent time teaching the younger ones. Now… We have the Internet. Now… Younger moms have few helpers and mothering role models. We no longer hang out with fellow friends on our block. We no longer look for ways we can help the struggling mother with four children. Now… Society has provided another resource for mothers…albeit not nearly a suitable substitute to warm and caring human bodies extending a helping hand in love. Society has offered mothers social media sites such as Facebook. Could it be that God is meeting the needs of mothers through this present day venue? Do we help young mothers… Or do we sit back and judge? We refuse to offer a helping hand… A word of encouragement. A sit down over hot tea to pray for strength and wisdom. None of us will EVER be perfect on Earth. He sees your heart and knows the time and energy you exert while raising your children. Next Post To Go or Not to Go? LOVE this, Crystal. Society is so keen to shoot down and criticise – and we no longer (necessarily, or generally) live in a community of other women, mothers and grandmothers who are keen and able to share their wisdom and insights into it all … so many mothers feel like they are doing it on their own with only the internet as their guru! So we actively should support other mums, even if they’re doing it a slightly different way to the way we would, but support and love them in their attempt to do their best as a human! Bless you! Thank you! I couldn’t help but feel irritated when I read that article last night. Being a mother is a hard job. Let us allow people to be human. The more we slash mothers for mild and pointless behaviors, the harder they’ll be on themselves and the harder it will be for them to be good mothers. If thankful for venues such as Facebook. At least it provides a place where older and wiser moms can easily encourage the younger generation. For bless us all!